We are delighted to invite you to join us for a night of wine and cheese and enjoy live music while you shop and receive an exclusive 15% discount off* all purchases in the gallery shop, for one night only! 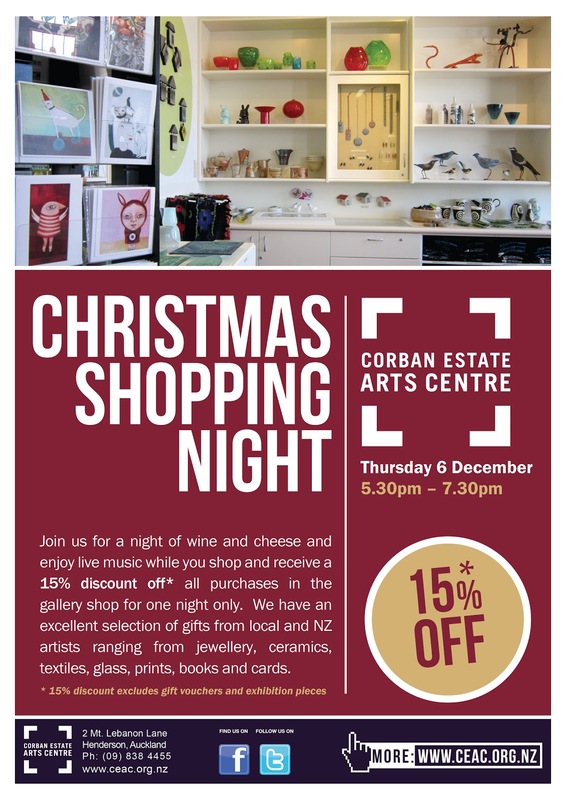 We have an excellent selection of gifts from local and NZ artists ranging from jewellery, ceramics, textiles, glass, prints, books, cards and more. Find the perfect, creative and artistic Christmas gift for your loved ones in our Gallery Shop!